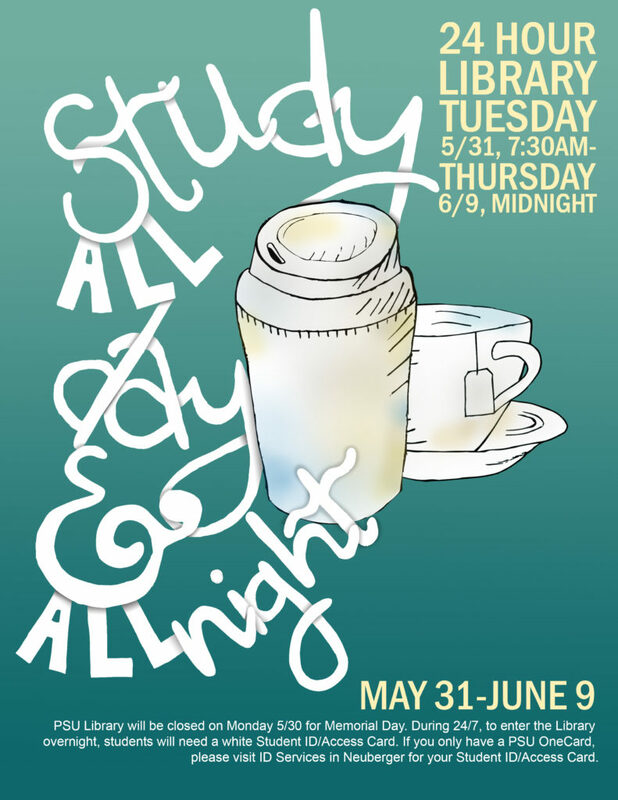 Portland State University Library will be open 24 hours from Tuesday, May 31 at 7:30am through Thursday, June 9 at midnight. Students who wish to enter the building after midnight will need to use their PSU Student ID/Access Card (the white card). The Library building will be closed on Monday, May 30 for Memorial Day. Please be careful not to leave your things around during finals if you leave your seat. We’ve had thieves in the Library building. Don’t forget to return your library books before you leave campus for the summer. For more information, please see the Finals page on the Library website. Study hard! Good luck on finals!